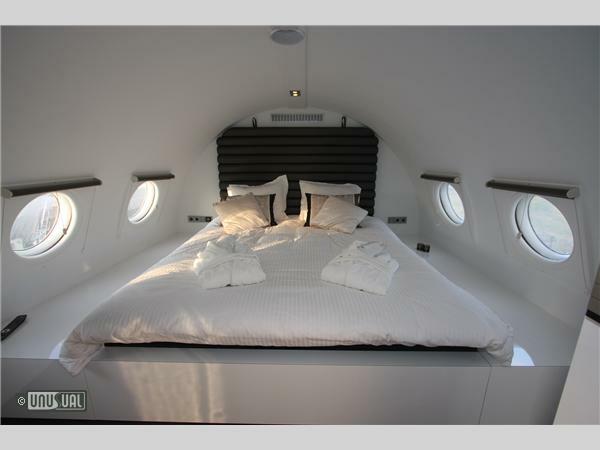 There appears to be a run on converted airplanes as Unusual Hotel rooms. 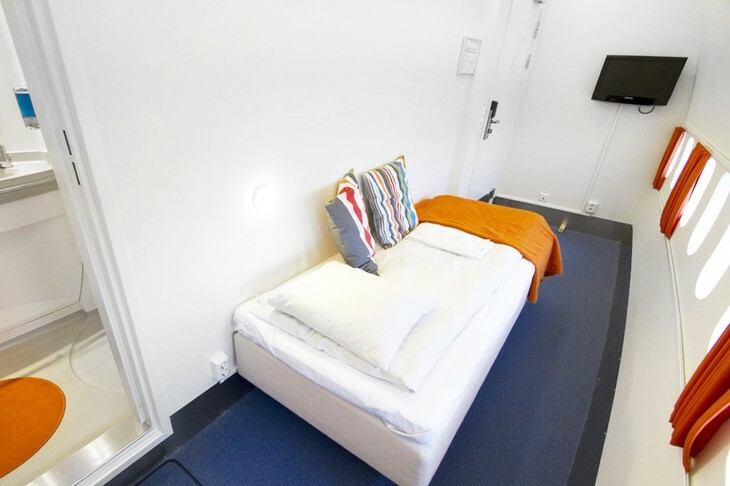 These range from the very luxurious, to the Hostel type, but all of them are “different”. I have chosen a small selection from a variety of places as examples of what is available for the curious or the adventurous. Ever been envious of First Class Travel on a long haul flight? 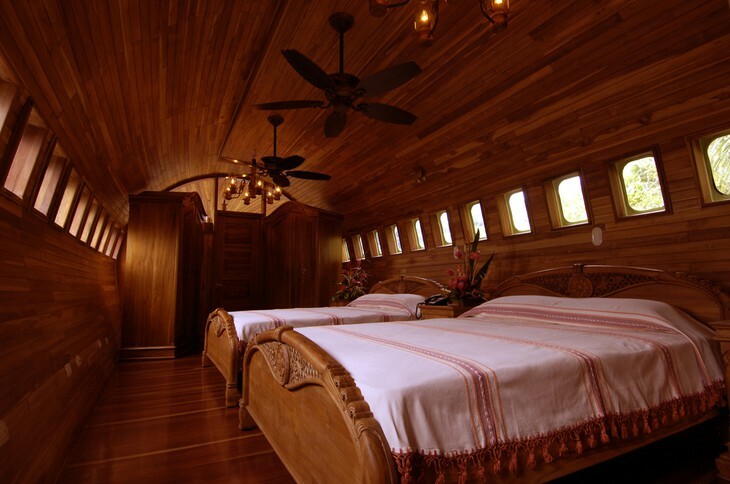 Well now you can indulge your wish and enjoy an entire airplane all to yourself for a luxurious overnight stay. Once the transport for top bosses of the German Democratic Republic government, this 1960 Ilyushin 18 has been converted to a single luxury suite for 2. The plane is 40 metres long and now comes equipped with a little more luxury than it’s former owners would have approved of – let alone publicly enjoyed! With a Jacuzzi, shower, infrared sauna, mini bar, flat screen TV’s (three of them! ), Blu-ray DVD / entertainment combo (plus a selection of DVD’s), and a pantry with coffee/tea making facilities, oven/microwave , free wireless internet, air conditioning,etc. you can enjoy a great deal of comfort – while still sleeping on a plane. Take a seat in the fully equipped cockpit of this plane, which is nearly 40 metres long, and believe yourself to be a pilot. 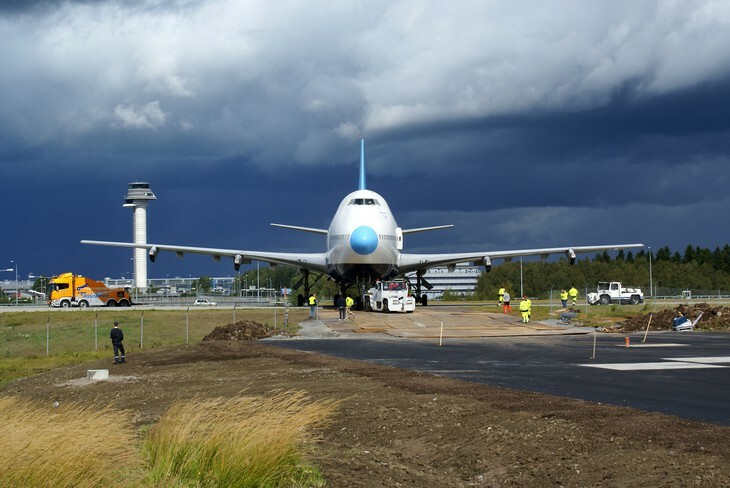 From your airplane suite, you will have a fantastic view of the platform and runway at Teuge airport. You can also book a plane tour, a helicopter tour or a flight lesson if you want to take a ride up in the sky. If you want to experience a real thrill, book a parachute jump or a ride with a stunt plane! Once the tranquil family farm of Winthrop and Vivian Smith the owners decided in 2001 to transform the property and eventually engaged 15 architects to build 18 amazing cottages and one suite – each with a design history of its own. Now a Relais and Chateau property and mentioned in GQ, Vogue, Conde Nast Traveller it is the ultimate destination property with a twist. 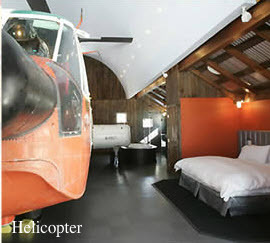 From “bringing the outside indoors” approach of ‘Camping’ to the rustic charm of ‘Woodlands’, each cottage on the 113 acre estate is completely unique, yet none more so than ‘Helicopter’ which uses a genuine, U.S. coast guard Sikorsky helicopter, rescued from Arizona to theme the room. Paying homage to the roots of Sikorsky in nearby Stratford, the helicopter dominates the room, with the cottage seemingly built around the outside. Even the rotor blades are embedded in the ceiling and walls. Inside the ‘copter is a bar and lounge area and if the excitement of playing rescue eventually fades, a giant flatscreen TV to watch the latest action movie releases on cable TV. Never was a mission more comfortable! Clamber into the flight deck, pull the control columns and flick the switches – Scramble for rescue! 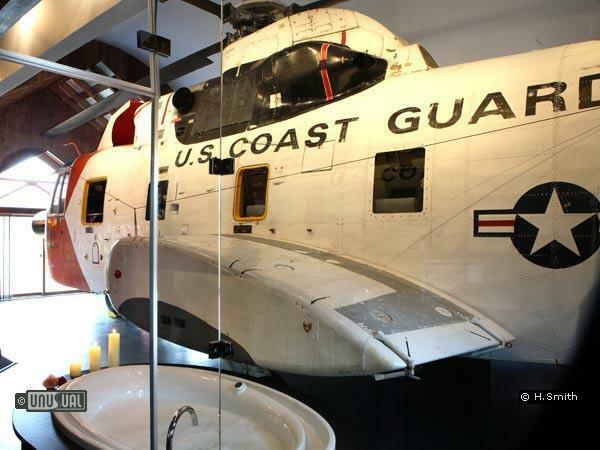 The bed is to the side of the room staring straight at the Sikorsky, showing a view that was once a welcome sight for those in distress. No worry of that here. The furnishings are of a high standard and, should you require help to regain your composure, a 5 minute walk to the spa, will sooth any frayed nerves. 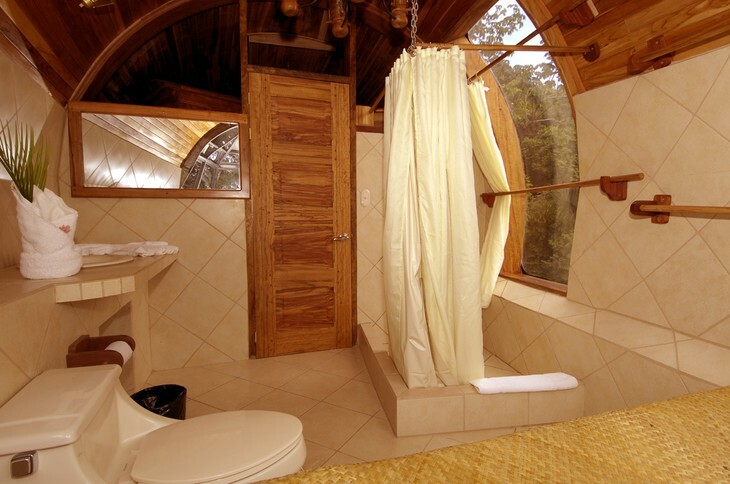 Other cottages share equally impressive artistic credentials, though perhaps none with such technology on show. The double deck treehouse for example oozes rustic charm, however as anyone building large structures in wood will attest – treehouses are models of engineering in their own right. Winvian underplays the amazing environment that it provides guests and the only regret is that they don’t admit children under 18 to join in the fun. 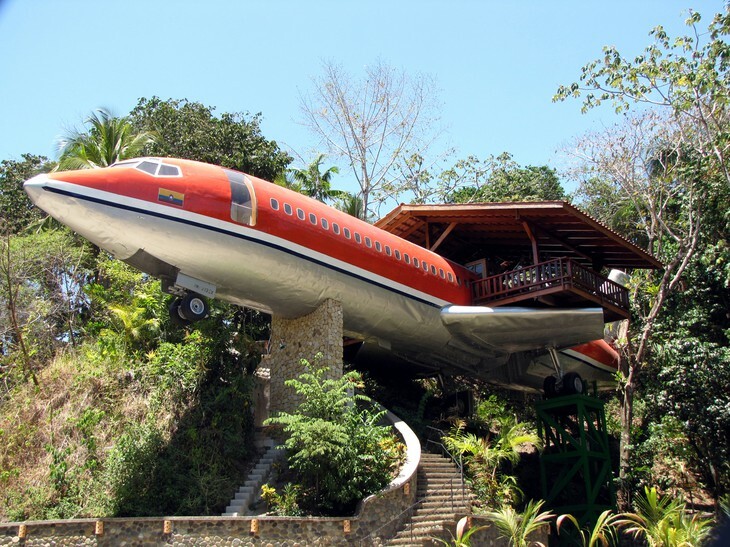 A shining example of what creativity and recycling can achieve, the hotel owners rescued this 1965 Boeing 727 from a rusty airport graveyard and placed it in the Jungle canopy by the beautiful Costa Rican coastline. The team cut it into pieces and transported it by truck and crane to where it now sits, gazing out over the warm ocean waters. Oh, and technically, I don’t think you can join the mile high club as the plane is only 50 ft from the ground. Good to know. However, you do get amazing views and the chance to relax on the balconies that rest on each wing. 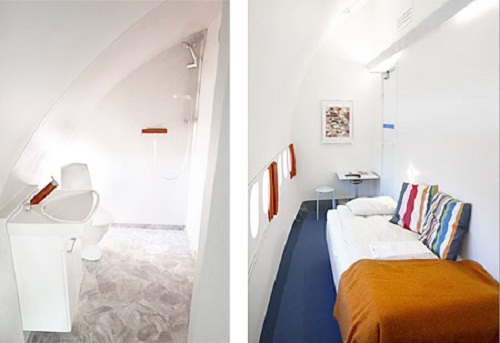 The suite is 2 bedrooms both en suite, and although it looks like the plane has made a crash landing, inside it contains all the luxury you can expect from this unique and unusual hotel. Hand carved teak furniture from Indonesia, flat screen TV dining area, kitchenette and sitting areas outside with amazing views over the ocean. You can tour the jungle and explore the stunning surroundings of the national park setting. Watch out for the monkeys! As part of the resort, there are pools and two restaurants serving traditional sea food. For those of you who have not spent enough time crammed into Jumbo Jets, trying to rub the feeling back into your twisted legs, craving for the blackout of sleep but unable to relax because you are stuck in a rigid position while your ears are deafened by the constant roar of the engines, this is for you. 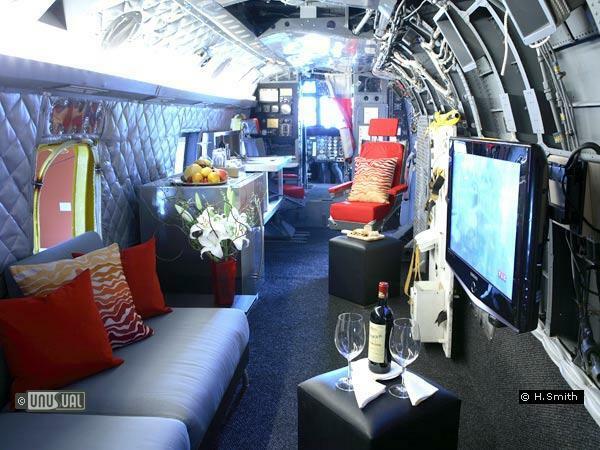 To be fair, they have done an excellent job of recycling this old Jet into a modern and comfortable hostel. It is light on the wallet and definitely an unusual experience. 27 single and double bedrooms have been created. As a guest, your ‘wardrobe’ is an overhead locker, you can get air blown through those twiddly airplane vent systems and the toilets have been expanded to include a shower. 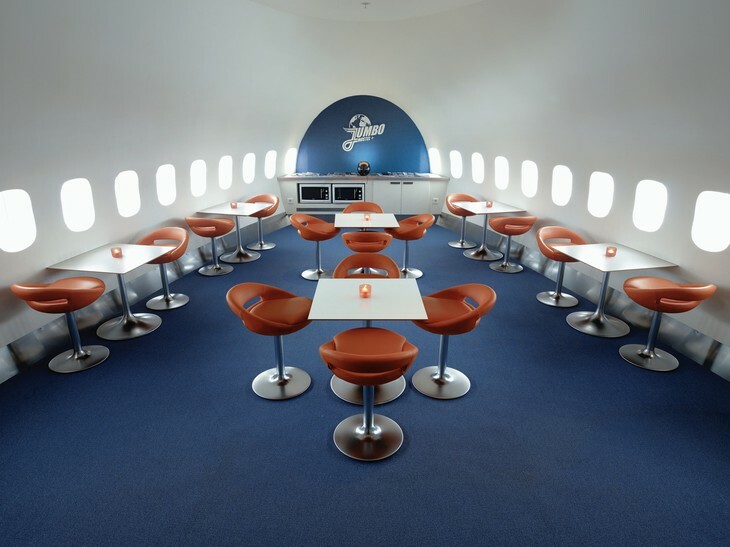 The plane offers a canteen, dining area and sitting area. Inflight meals are served. Accomodation is simple but definitely with a twist. This entry was posted on Tuesday, January 22nd, 2013 at 18:51 and is filed under Hotel Industry, Leisure, Travel, Unusual Hotels. You can follow any responses to this entry through the RSS 2.0 feed. You can leave a response, or trackback from your own site.